Mikaela Shiffrin has withdrawn from the ladies’ downhill event at the Winter Olympics. Shiffrin can still win a second gold medal in the ladies’ alpine combined. US skier Mikaela Shiffrin is out of the ladies’ downhill event in the Winter Olympics. “As much as I wanted to compete in the Olympic downhill, with the schedule change, it’s important for me to focus my energy on preparing for the [ladies’ alpine] combined,” Shiffrin wrote. Shiffrin did participate in the downhill training runs on Sunday and Monday. Afterwards, her mother – who also serves as Shiffrin’s coach – said Shiffrin wasn’t ready for the downhill, noting she hadn’t “touched her speed skis” in a month” and would need to “miraculously” improve if she hoped to compete in the downhill. 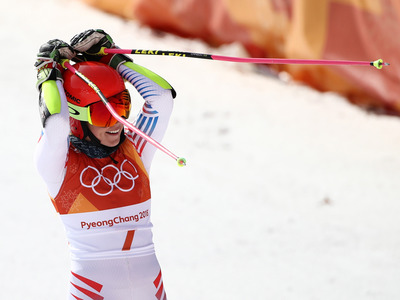 Ezra Shaw/Getty ImagesMikaela Shiffrin came into the Olympics with a shot to win five medals. Shiffrin’s mother added that her daughter “can’t in good conscience” take a spot from a teammate who is better prepared to compete.